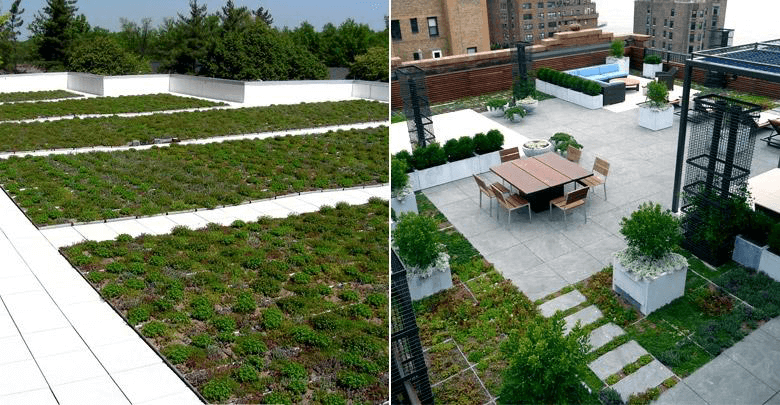 Green Roof Drains Product Alert - Jay R. Smith MFG Co.
As it implies, GREEN roofs consist of plants. 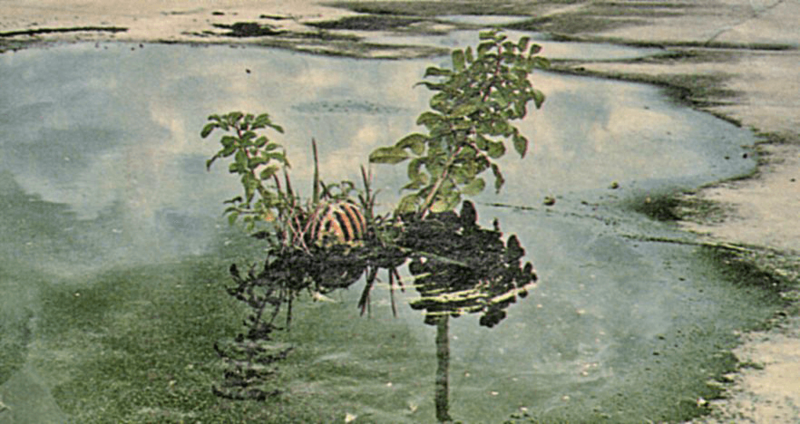 They are comprised of several layers most particularly a waterproof membrane, root barrier, drainage layer and the growing media. The growing media can consist of a variety of plants, grasses, sedums or shrubs. This technology is not new but is relatively new to the U.S. Scandinavia and Iceland used sod on their roofs as insulation for years. These were barren environments with limited building materials. Many of our early settlers used sod to insulate walls and prairie grass to cover their roofs. 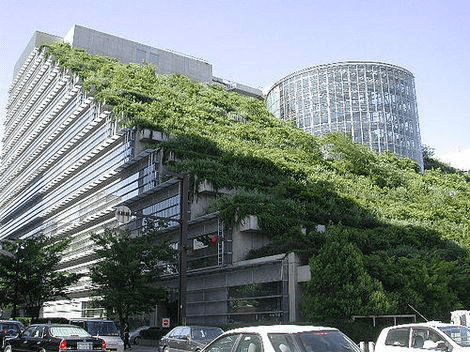 Germany has led the modern movement back to grassy rooftops beginning in the 1970s as green roofs were installed to reduce the amount of storm water discharging into overtaxed and aging sewer systems. 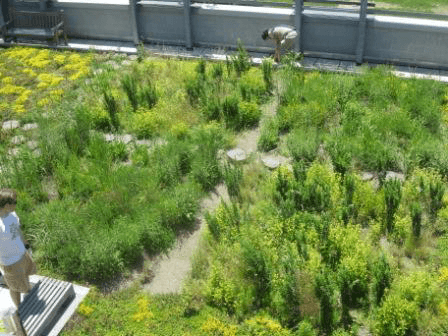 Presently, approximately 14% of the country’s total roofs have been ‘greened.’ Germany’s initiative has encouraged other countries to embrace the concept. 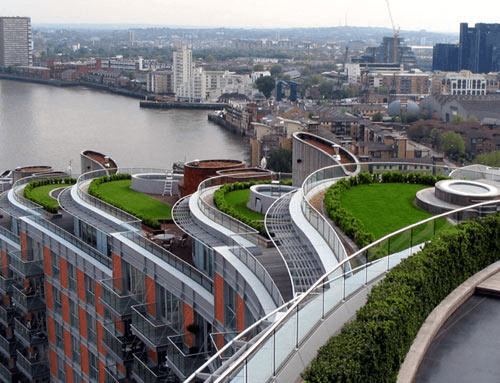 There are advantages of green roofs although it is not a fit for every roof or situation. the roof drain detail and we will design and build a green roof drain to meet the specifications and green roof design. 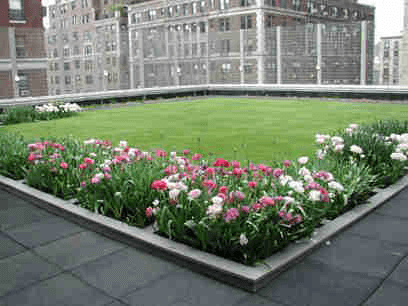 Attached are several photos of green roofs. Most contain plants but a few have just grass. Of course, all of these are bred for the green roof application. One facility supervisor had to make a decision between grass and plants and made the statement that he had to decide whether he wanted to cut the roof grass or weed the flowers. There is maintenance involved! Please refer to our Green Roof Drains and Green Products for more information. 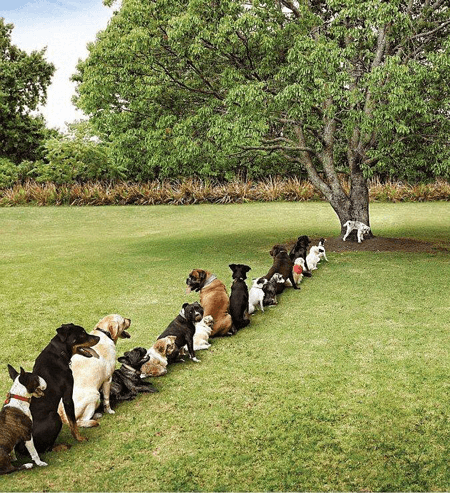 “Nothing to do with green roofs but another environmental issue.” Also, this emphasizes the need for adequate toilet facilities at different venues. Plants growing in a gutter that has not been cleaned in a extended period of time. 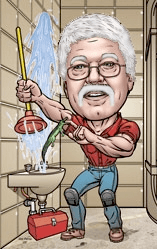 First, the plumbing codes require secondary drainage whether it is a traditional gravity roof drainage system or a siphonic roof drainage system. It does not matter whether it is a sloped or flat roof. Second, good engineering practice should never allow ponding around a roof drain with eventual seeking of another roof drain. This ponding will add stress to the roof and cause roof damage, subsequently; causing leaks and/or collapse. Roof drains need to be checked on a periodical basis to make sure debris is not present reducing or preventing flow through the roof drain. We were on a roof several years ago in downtown Atlanta, 41 stories above the street and around every roof drain was pine straw. The nearest pine tree was miles away. Never under estimate the wind and our feathered friends. Debris such as pine straw, leaves, etc. will eventually turn into mulch and sustain plant and other seedling growth. Such growth besides restricting flow will damage the roof structure. 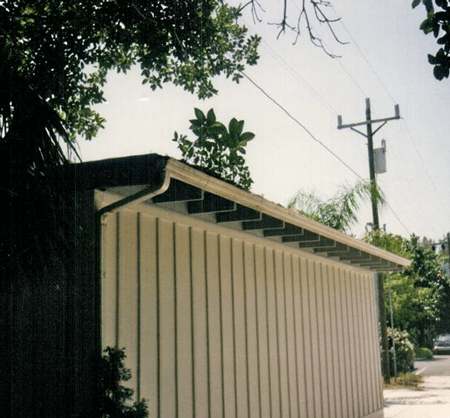 If you have any questions regarding roof drains, please contact us.